This one’s a doozy. The AstroTurfâ„¢ has been wrapped around a custom-built object. You know what that means? It’s a topological transformation: not carpeting but upholstery. It’s a game-changer, so top marks for that, but sadly lacking in the kind of precision-fitting we’ve become accustomed to. Click on the photo for an enlargement, and take a look at the skirting at the base and you’ll see what I mean. 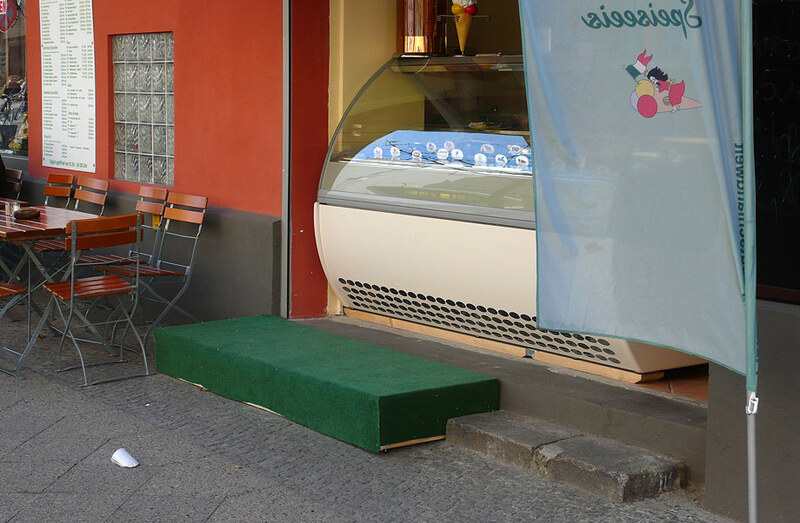 But still, stepping up to that ice cream can now be done in divine green synthetic comfort.